Home Tags Posts tagged with "Scottish government"
This weekend I will ride like an anxious shareholder on the Edinburgh trams. I will feel every shoogle, look for every fault, wonder whether my investment as taxpayer and patient citizen will ever be worthwhile. This project, as all the world knows, has been a disaster, an embarrassment and a joke. But finally now it is a thing of hope. 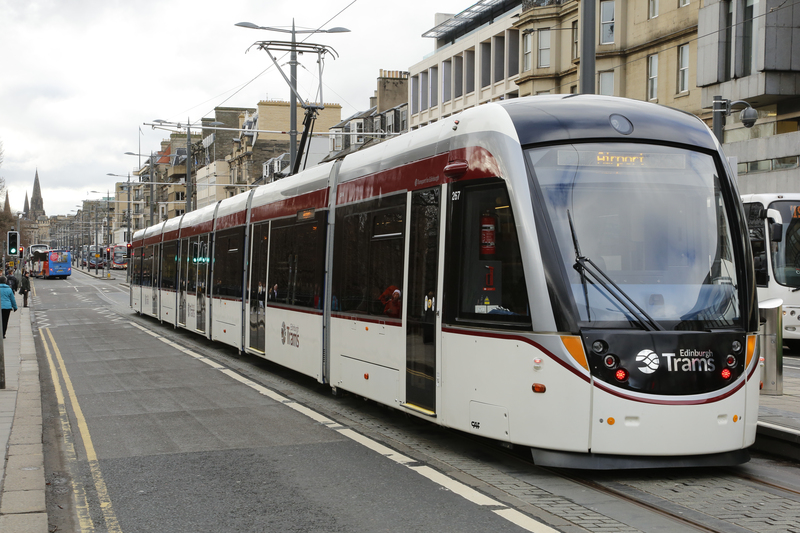 Can the shiny red and white trams restore the city’s reputation? Will they be well used? Will they be extended and fulfil their original ambition? The trams will start answering these questions at 5am on Saturday. The fare will be the same as the buses for all city journeys, £1.50, but £5.00 if you want to go all of the 9miles from the city centre to the airport. You can buy your ticket from a machine at each of the 16 stops or from the young and enthusiastic conductor on board. Your tram will, hopefully, be carrying 331 other passengers. It will pass gracefully through the red lights, avoiding startled pedestrians and cyclists, and make its way sedately to the airport in about 35 minutes – longer than the airport buses take, curiously. On such a day, would it be unseemly to ask who was responsible for the three year delay to the project? For it costing £776m instead of £375m, and for it being half the original length? No it would not. 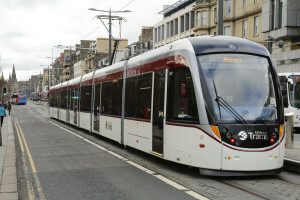 The council’s own inquiry may not have started, but my own inquiry has found the bosses of Edinburgh Transport Initiatives to blame, aided and abetted by the politicians. 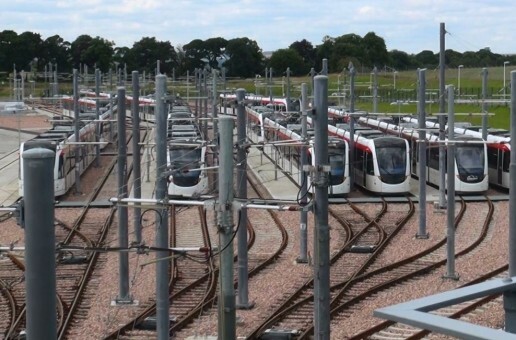 The Edinburgh trams were not the only post-devolution project to suffer a shaky start. The Scottish Parliament building makes the trams look financially frugal by comparison. But hey, this is what nation-building is all about, trial and error, pride and fall. This week we’ve been taking the delivery of weighty reports about an independent Scotland. The UK Treasury brought out a report saying every Scot would be £1,400 a year worse off if we vote Yes in September’s referendum. The SNP government not only disputed that figure, it predicted we would be £1,000 better off. It turned out that both figures could be correct because the £1,400 refers to the start-up costs of a new nation and the £1,000 reflects a resurgent nation, predicted to grow its economy at 3 per cent a year. Which goes to prove that the referendum is not a question in a mathematics exam but more a question of history and culture. So too is the European Union which will now have a rabid anti-EU member of parliament from Scotland in David Coburn. He stole one of Scotland’s six seats from the Liberal Democrats who are plunging towards oblivion as I write. They came 6th in the Euro-elections in Scotland, behind Mr Coburn’s UKIP and the Greens. 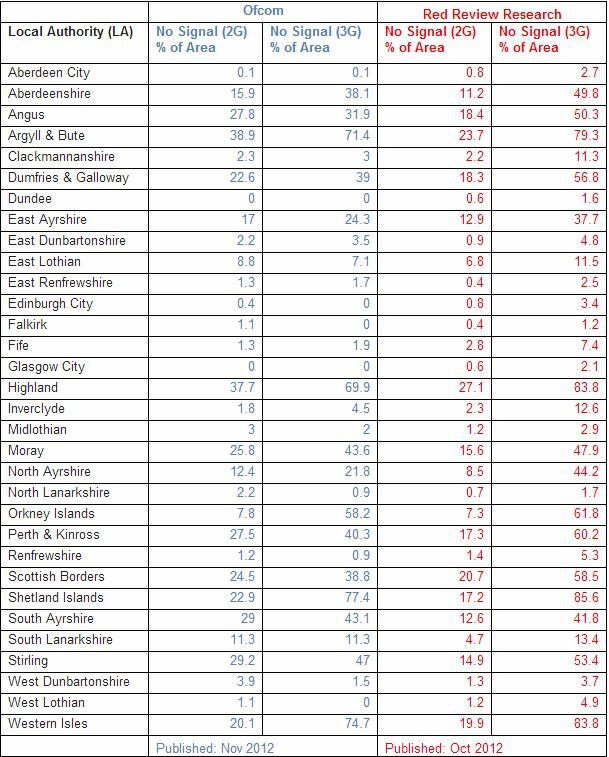 The SNP won most votes, though Labour and the Conservatives held on to their seats pretty comfortably on a 33 per turnout. Notice how keen the politicians are to please in these sensitive electoral times. 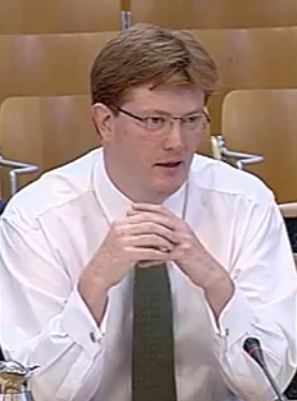 No sooner had the firemen put out the blaze at the Charles Rennie Mackintosh art school in Glasgow than Danny Alexander the treasury minister was promising funds to repair the damage. Fiona Hyslop, the Scottish government’s culture secretary, was standing by the smoking building doing much the same. Was the art school not insured, I wonder? Indeed the city of Glasgow and the art world generally I think rather over-reacted to the fire. No one was killed or injured. The building can be rebuilt. The fire service saved most of it anyway and much of its contents. Sure, the library was badly damaged and some students lost their current works, but several arty types were composing eulogies as if the whole of Western art had been destroyed. Perhaps I’m biased – and certainly unfashionable – but I find Mackintosh’s style heavy-handed, dark and uncomfortable. That library must have been a scary place in which to work. The nation has been agonising again over its landed estates. 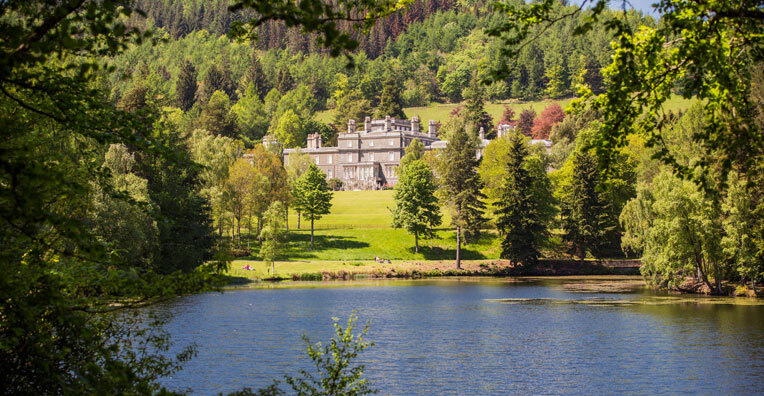 A report published by the Scottish government’s review group has called for a limit on the number of acres of land an individual or company can own. 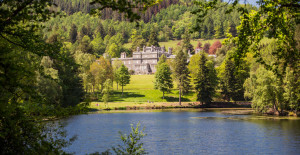 The Duke of Buccleuch for instance owns 240,000 acres, the Duke of Atholl 124,000, the Duke of Westminster 94,000, the Dutch fashion billionaire Anders Povlsen 160,000. The landowners and the gamekeepers have, of course, condemned the idea of a cap on acreage, saying it would starve the countryside of investment. Those in favour of smallholdings or community ownership say a cap would release the true potential of the land. And I notice this week that the Callanish Standing Stones on Lewis, and the 1400 acres of land round about them, have been taken over by the local community with the help of a government grant. No such help has been available to two pieces of hallowed turf here in Edinburgh, Tynecastle and Easter Road. Both Hearts and Hibs have been relegated to the second division of Scottish football, strangely called The Championship. Hearts have gone down for financial reasons and Hibs lost out to Hamilton in a tearful penalty shootout in the rains of last Sunday afternoon. 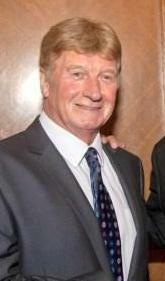 Thank goodness Gordon Strachan restored our football reputation by taking the national team to a respectable two-all draw with World Cup qualifiers Nigeria in a friendly and exciting match in London. It’s strange how so many stories touch upon our national pride, from trams to parliaments, art work to sport. And each time we are humbled. Poll after poll shows Scottish women are considerably less keen on independence than men. Alex Salmond has been reaching out to women voters since the campaign kicked off two years ago. We asked our panel about the reasons for the gender gap in the polls. It might not be that women are more reticent about independence. It may be that the cry for more evidence is coming from women and at the point they get it, they will be just the same as men in their preferences around independence. Wanting more evidence doesn’t necessarily make you more cautious. It does make you more analytical though. If the hypothesis is that women analyse things differently, it’s unlikely that they would want to see policies promoted only for them. It’s about having policies where they can understand the implications for them and their families, which is perhaps not being communicated well in the political messaging. I suspect that the issues that interest women are exactly the same as the ones that interest men. I can’t believe that women think that childcare is more important than the economy, jobs, or more important than better services in general. The idea that you’ll be able to make women change their minds with women-only issues is misguided. It suggests that the political parties still have a poor idea of what equality is really all about. Women are vastly under-represented in certain parts of the Scottish economy. For example in the Scottish Parliament, only 35% of our MSPs are women; 45 out of 128. The results appear not much better for Scotland’s various public sector boards. The evidence suggests that the more you have diversity on boards, the better they perform. Board dynamics change and it does appear that diversity (be that women, older or younger representation and members from ethnic minority backgrounds) has a positive impact on company performance. On the question of positive discrimination, I am certainly in favour of having representation that reflects the economy in which we live and work. There are more women than men in the country, so this should be reflected in boards and the parliament. Traditionally women were more conservative than men in how they vote. It was said that because the men were in the factories or in the industrial plants, they learned socialist solidarity through being part of the trade unions. But with women in relation to the Scottish referendum, I don’t think it’s a question of conservatism. I think it’s more about pragmatism. It might sound a bit old-fashioned, but in many cases women are the people that spend the household money. They are the ones that actually see what’s happening to the price of food, clothes, to the economy. For this reason, I think the gap between male and female voters is unlikely to narrow. In fact it may increase slightly as more and more people consider the issues carefully. The trouble with making pledges about what will happen after the referendum is that there’s such a distrust of politicians nowadays. The only promises that either side can make to attract more women are ones where they can make them real – but that’s difficult because one parliament can’t bind the next. More than likely, the SNP will be judged on what it has already done for groups like women – not what it says it will do after the referendum. I don’t agree that women are more pessimistic about the idea of Scottish independence – nor am I convinced that women are a harder sell for the campaign. Whenever I speak to women about this, I find that they are split down the middle. But the tradition of women not being heard is probably having an influence on what they are prepared to say or on how they are going to vote. Or it might be the case that women are more naturally cautious because of the traditional culture of exclusion. We have a very low participation level among women in politics. We don’t have enough female role models, women in leadership roles or enough women on senior management teams. This has an impact on women’s confidence levels. The SNP needs to be careful with its policy announcements that women’s roles aren’t just confined to conceptions of the family – which in any case is a very diverse concept now. Women aren’t just concerned with childcare, education and family-related issues. There needs to be a meaningful engagement with the roles women play across all sectors. I’m not attracted by the idea of taking affirmative action over women on boards. This introduces an opportunity for people to criticise a woman in a management position, suggesting that she’s only got there because she’s female. This happens. It’s a fact. I would never want to be appointed to a position because someone needed to fill a quota. There’s not an easy fix here, but the first step is to recognise that we have a problem. We need to start for example by normalising equality in society. This can start with children by reinforcing understandings of equality through childhood and young adulthood. If you show a child how their mum and dad are equal in the home and in employment, that child is going to grow up with a balanced picture of what society is and should be. The Scottish Government has made a decent start with equal parental rights, but it needs to go further by supporting it properly. When I’ve spoken to men in Scotland about this, many have told me their wives’ employers are much more amenable. While I think the SNP isn’t too bad on this front, none of the political parties seem able to engage with the fact that a significant culture shift is needed to bring about genuine equality. If the failure to engage with the skills, expertise and experience that women have to offer continues then we have a real problem on our hands. 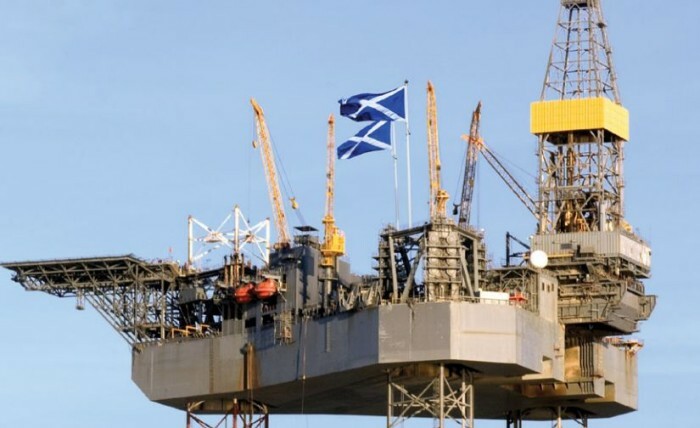 Both the Scottish and UK governments have published new contributions on the energy and independence debate in recent days. Energy Secretary Ed Davey visited Edinburgh to coincide with the Department for Energy and Climate Change’s 100-page “command paper” on the subject. It was far more substantial than the Scottish government’s 11-page publication, which was released two days before. For the Scottish media this was a headline news item, with both Davey and Fergus Ewing, his Scottish counterpart, giving interviews. The UK government paper presents detailed arguments and cost estimates for the historic, current and future benefits to Scotland of being part of an integrated GB energy market. It emphasises that Scottish businesses and consumers enjoy substantial net benefits from being part of the UK. For example, the costs of renewable energy subsidies are supported by all UK electricity bill payers, and almost 30% of the total goes to wind farms and other generators based in Scotland. This is despite the fact that Scotland accounts for only around 10% of UK electricity sales. 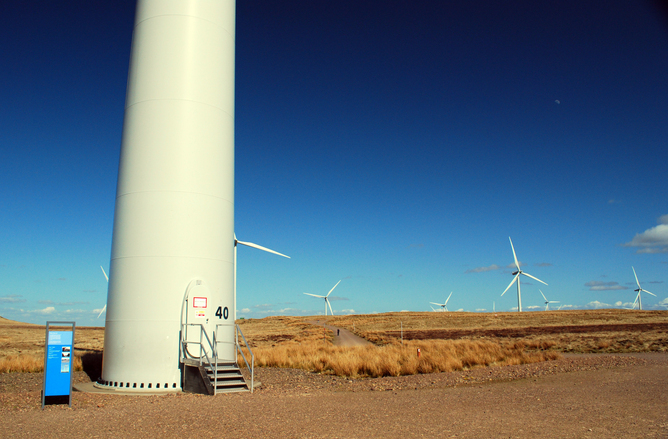 DECC’s report points to similar benefits from supporting Scottish electricity grid investment (key for getting renewable energy to users further south) and subsidising remote and off-grid Scottish consumers. As costs grow in the next few years to meet policy targets for decarbonisation and renewables expansion, DECC estimates that Scottish consumers would pay between £38 and £189 extra per head each year on their energy bills by 2020 if the country was independent. 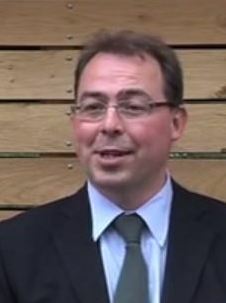 Other costs and risks of independence are also set out: the threat posed to major Scottish-based but UK-funded public investments such as the Green Investment Bank, which is based in Edinburgh; and the proposed Peterhead carbon capture and storage demonstration plant – one of two in the UK earmarked for support through the UK Government’s £1 billion support fund (the other is in Yorkshire). DECC also notes a broader problem of attracting capital for a newly independent small country – touching on the bigger issue of currency stability in the absence of a shared pound. The Scottish government’s statement is not a systematic and detailed counter to the UK government’s arguments. Instead it describes how Whitehall has mismanaged energy policy. The Scottish government has to tread a delicate line here, arguing the failure of current arrangements while also noting successes such as the growth of the Scottish renewables sector and continued oil and gas revenues. The main points of criticism are underinvestment and the looming capacity crunch in UK electricity supply; Conservative/Lib Dem divisions on energy policy leading to loss of investor confidence; and the UK’s costly commitment to new nuclear power stations. 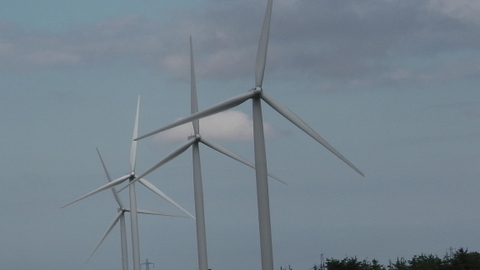 The Scottish government claims its own approach to energy policy has been “clear and consistent”. In contrast to DECC’s arguments about the subsidy benefits to Scotland from GB market integration, this report talks about how the UK relies on Scotland to “keep the lights on” by acting as its energy reserve. Read alongside each other, the Scottish paper is more selective and overtly political. There has been a lack of detail in the Scottish government’s statements on energy matters and independence to date, though that may change with the imminent report from the Scottish Regulatory Commission on Energy Regulation. 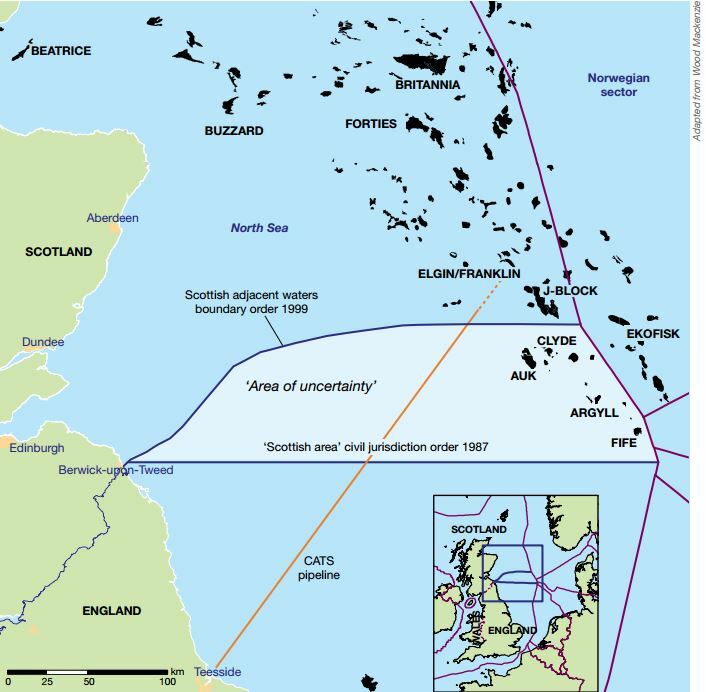 As with the currency question, the Scottish government essentially argues for continuity after independence: continued operation of an integrated GB market reflecting common interests in energy supply security and the growth of low carbon generation. The UK government argues that independence would lead to losing the benefits of integration, with post-independence governments and regulators on each side of the border required by statute to serve self-interest rather than common interests. Admittedly, this ignores wider factors. 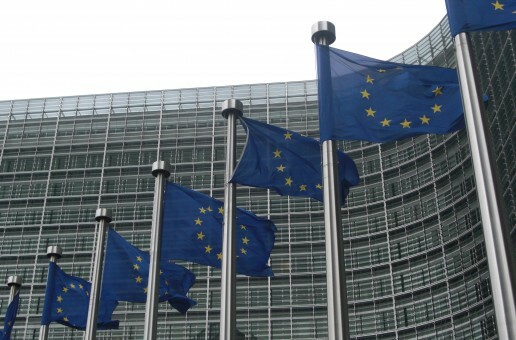 DECC argues the case for the benefits of scale and integration but at the same time the UK faces a possible withdrawal from the EU after the 2015 general election. As with independence matters more generally, undecided voters are left frustrated by the absence in much of the public debate of a balanced and thorough analysis of the claims and counter claims. This piece is one of two that The Conversation has published on this subject today. The other can be read here. 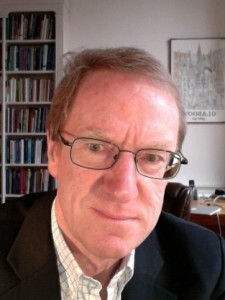 Mark Winskel receives funding from the EPSRC, NERC and ESRC. Mark’s views are his own and not those of the UK Energy Research Centre. 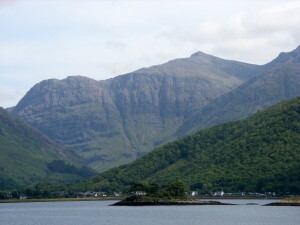 A report from the Federation of Small Business (FSB) has claimed that Scotland has the worst mobile coverage in the UK. 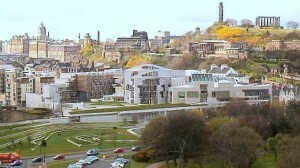 Citing the Scottish government’s own research, the organisation wants the planning rules relaxed to allow development which would boost coverage. Although the Government has said that it was “committed to improving mobile coverage in Scotland”, the evidence suggests that over a quarter of the country doesn’t enjoy adequate coverage. For the FSB, that isn’t good enough with Andy Willox, its Scottish policy convenor, insisting that good quality mobile phone coverage for businesses was not a luxury but a necessity. “Too much of Scotland doesn’t have adequate mobile phone coverage,” he said. “Our members tell us that new technology will be vital to grow their business and our visitors tell us that they want to use their mobile devices if they’re in the centre of Edinburgh or on the Isle of Mull. The evidence comes from a Scottish government report, published last autumn, which acknowledged that more than a quarter of the country had 2G coverage that was either “fair” or “poor”. What that means is that users would find the signal was “insufficient for good quality connection”. 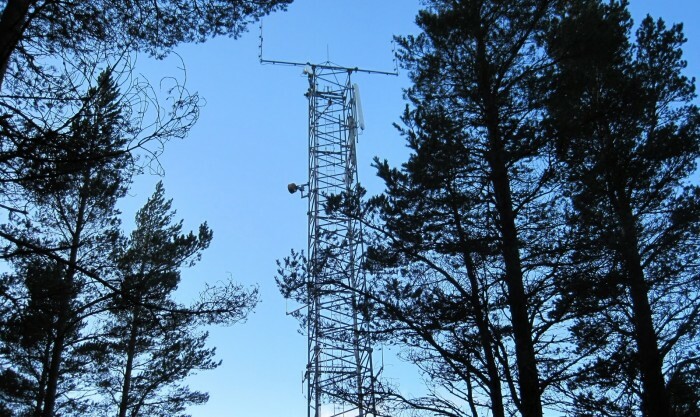 By combining data from a number of sources such the Scottish Ambulance Service and Scotrail, it also reached the conclusion that the majority of Scotland’s land mass lacked good quality 3G coverage. IT’S THE OIL, ISN’T IT? 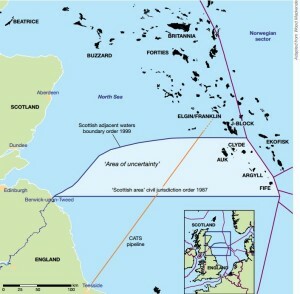 There’s been a lot of discussion over the future of North Sea Oil during the debate on independence. The ‘Yes’ and ‘No’ camps clearly take partisan views on this valuable asset. It’s not often therefore that we see an impartial assessment – but one has just been published in a magazine called TCE (The Chemical Engineer). 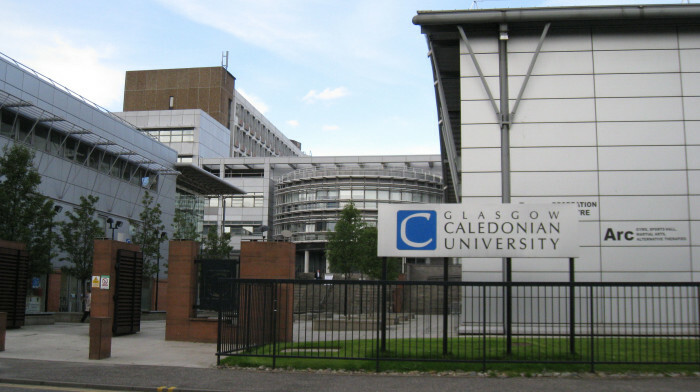 The author, Sanjoy Sen, is not only a chemical engineer working as a consultant development engineer but he has also recently completed an LLM in oil and gas law at the University of Aberdeen. This is an important article and deserves wider attention. To read it in full, follow the link above. We have spent much of this week discussing the Red Road flats. 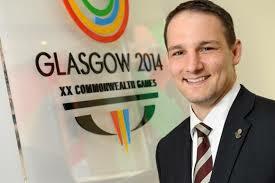 Should they be blown up as part of the opening ceremony of the Commonwealth Games in Glasgow this summer? At first people were stunned by the idea. Then they thought it might be an April Fool joke. Then came the public outcry against it. Then the defence. Then a hint that the organisers might be changing their minds. And finally a letter to the newspapers from the chief executive of the games David Grevemberg re-affirming the decision that the 30-storey tower blocks are to be brought down live in front of a world-wide television audience of millions. “By dedicating just a few moments of the opening ceremony to the extraordinary story of Red Road it is our ambition to depict Glasgow as a brave, confident and great city that is confronting the need for change,” he writes. The trouble is that the story of Red Road is not a happy one, at least it does not have a happy ending…even before the place is blown up. 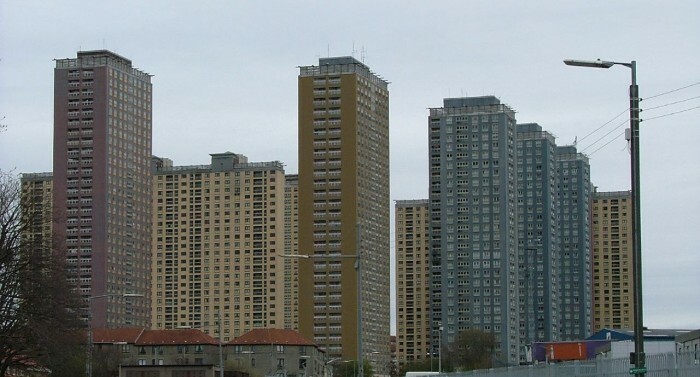 The seven tower blocks were built in the 1960s and were supposedly the very latest in working-class luxury. However they soon rotted away and became the new slums. One block has already been demolished, five are empty and are ready for the explosives squad. One will remain, housing refugees and asylum seekers. So the questions being asked this week are: is blowing up the Red Road flats drawing the world’s attention to Glasgow’s failures? Is it disrespectful to the refugees still living there? Is destruction what Glasgow is about or should it be re-building? Will the 15 second explosion sequence work? Will it be safe? Will it really be a spectacle if most people are only seeing it on a screen in the Commonwealth stadium or on television? And, since we are only seeing it on a screen, why not show a recording of it? 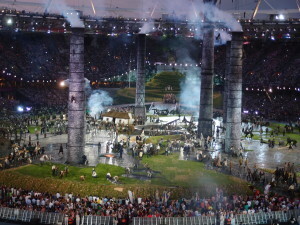 There is also the whole issue of over-the-top opening ceremonies. Must we be better than the Olympic spectaculars? Must each show be bigger than the last, more shocking, more expensiv? ( The cost has gone up to £20m incidentally). 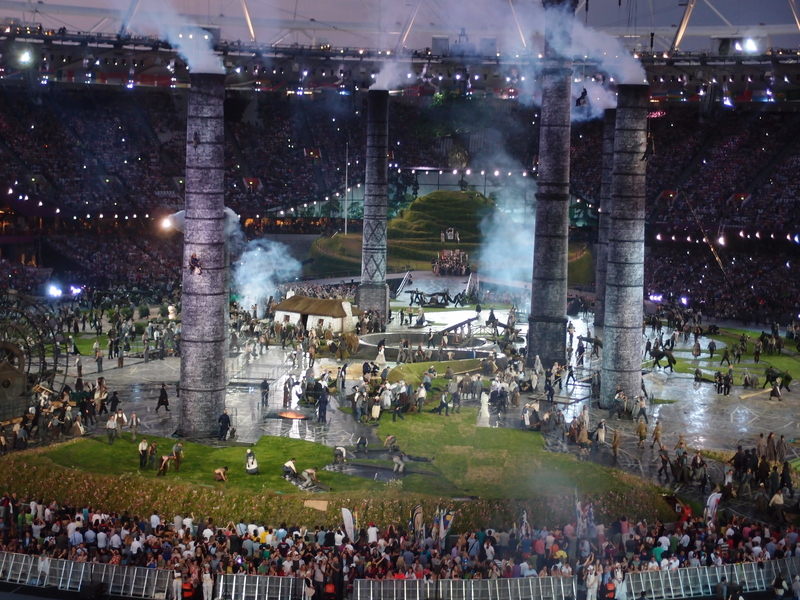 What’s wrong with a parade and a torch-bearer to open the games? 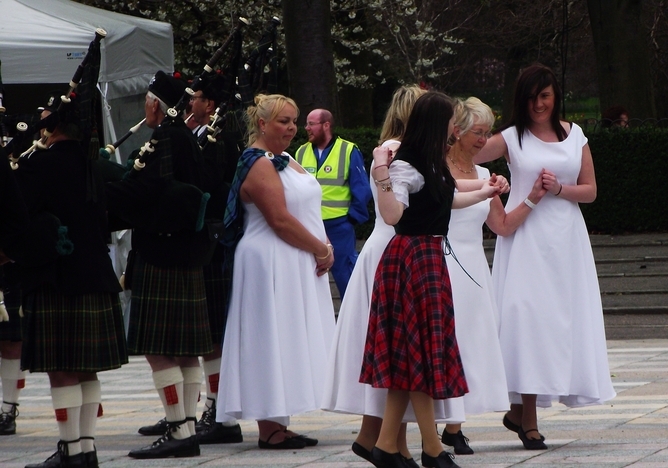 And, if we really want to push the boat out, a pipe band and a speech from the Lord Provost. And talking of over-the-top showmanship, it didn’t come any better this week than ex-NATO potentate George Robertson’s declaration that Scottish independence would have “cataclysmic” consequences for global security. The break-up of the United Kingdom, he said, would weaken the West’s defences against “the forces of darkness.” This is surely “evil empire” stuff and a sign that Project Fear has finally lost touch with planet Earth. There was another example this week from Ed Davey, the UK energy secretary. 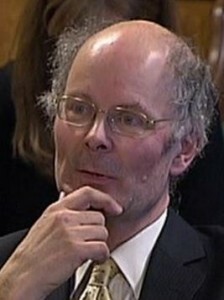 He put out a report claiming that Scottish energy bills would rise by an average of £200 a year as a result of independence. This was because the subsidy given to wind farms and other renewables would have to be borne by Scotland alone, rather than spread across the whole of the UK. 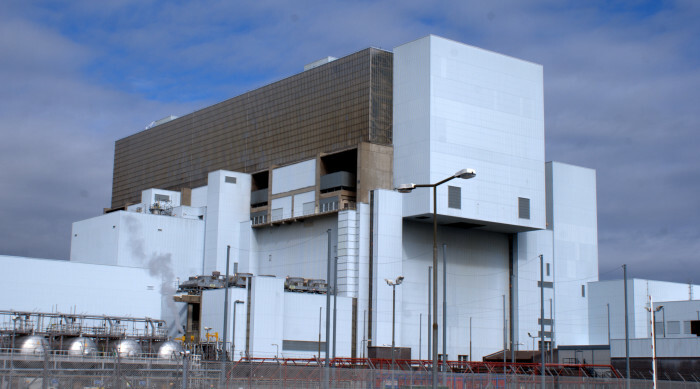 The Scottish government hit back by saying the figures didn’t take into account the subsidy given to nuclear energy in England. And for good measure, the Scottish government did a little scare-mongering of its own, this time over welfare cuts. It published a report saying Westminster’s cap on welfare spending will mean a cut of £2.5bn to benefits over the next two years, pushing – according to one estimate – 100,000 more children into poverty and setting back the fight against overall poverty by 10 years. 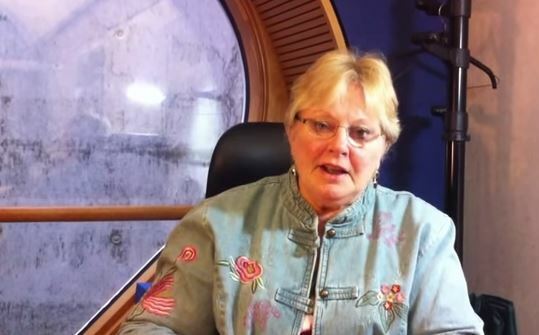 We are all missing one of Scotland’s most doughty fighters for independence, Margo MacDonald who died last week. She was 70 and had been suffering from Parkinson’s disease. 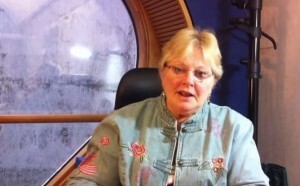 Words that sprang up time and again in the tributes to her included, “forthright, determined, a bright light, a blond bombshell, a force of nature.” She began her political life with a spectacular win for the SNP in a by-election in Govan in 1977 and went on to have a career in local government and then in the Scottish Parliament, sitting latterly as an independent. I’ll remember her for her clear-headedness and her skill in putting her arguments into a few straightforward words. I’ll also remember her courage in her personal battle with Parkinson’s and her campaign to bring dignity to the process of dying. Spring has certainly arrived this week – after a pause in proceedings for the last fortnight. Leaves are starting to open, grass in being cut, and we awaiting any day now, the first osprey egg of the season at the Loch of Lowes. Yes, the “lady” is back. This remarkable old bird has returned to her Perthshire reserve for the 23rd year and is about to hatch her 69th egg.